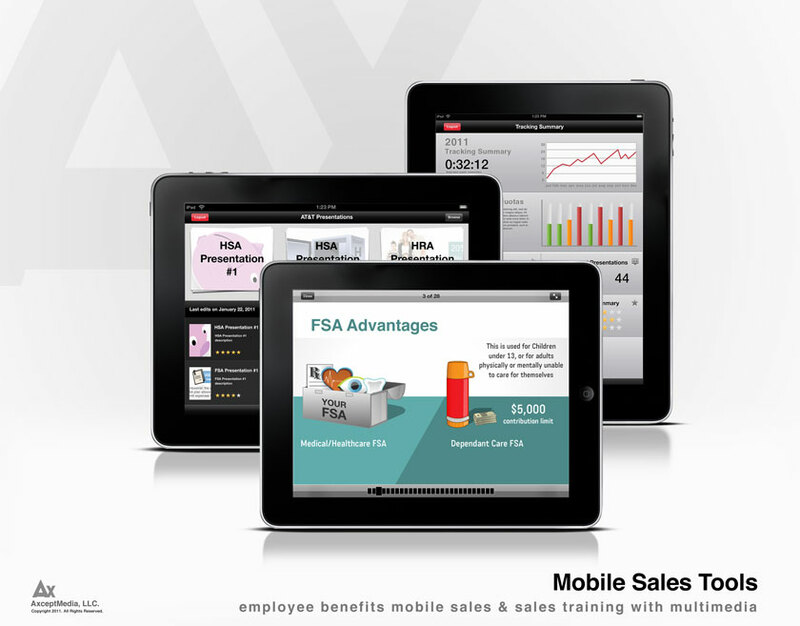 These interactive mobile apps provide your sales personnel with engaging education about specific products or services. They are delivered via mobile platforms such as iPad, iPhone, Android Phones, Google Tablets, Blackberry Phones and other Mobile Tablets. The goal of these Apps is to get your sales team excited about your products. 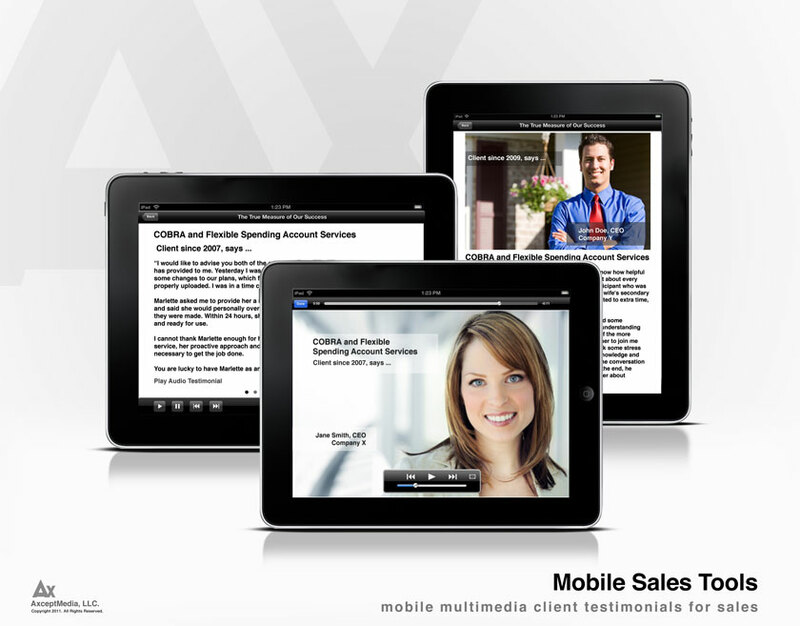 The Apps educated your sales team on the customers' needs, how to sell the product and much more. 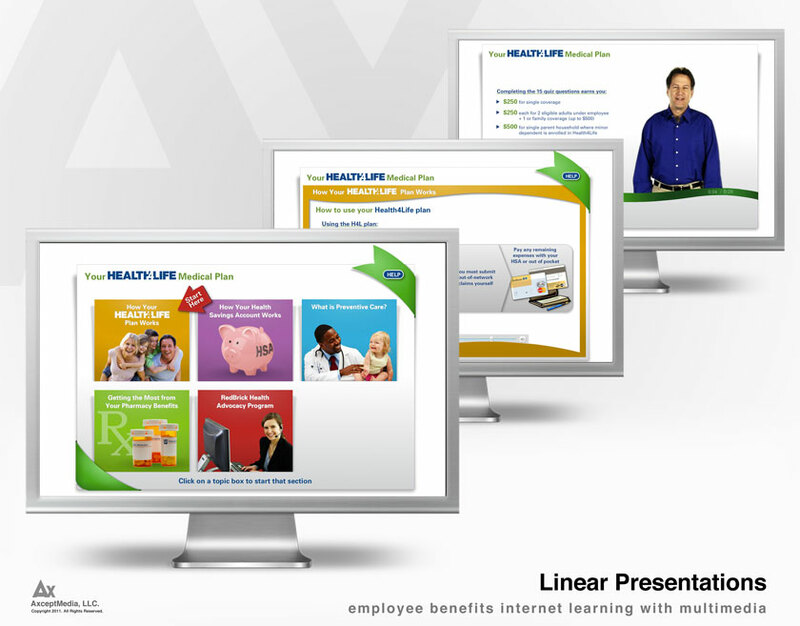 These on-line interactive presentations can cover many different topics. 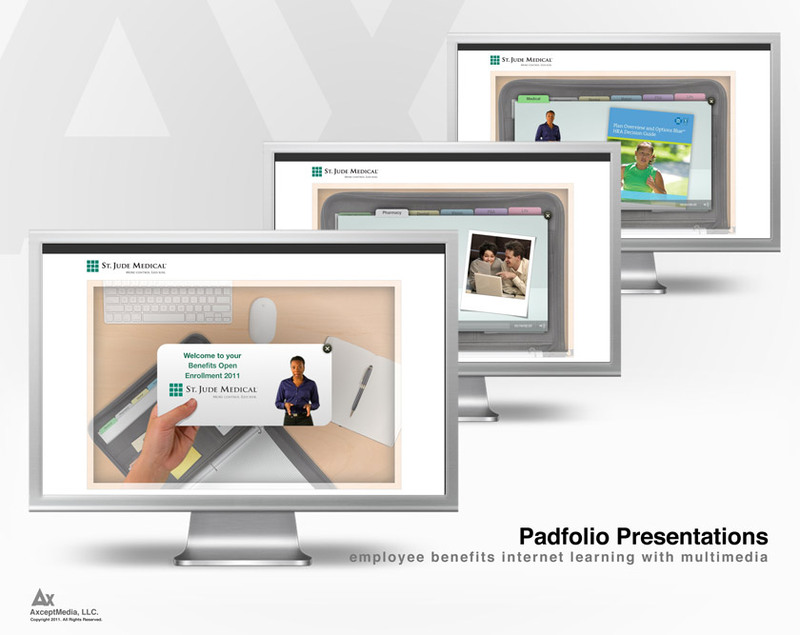 They are typically designed to educate employees or consumers on a variety of topics and are implemented in a familiar and easy to navigate 'Padfolio' format. A user can easily identify with each section and how to access it. Each area can contain: Text, Graphics, Audio, Video, Interactive Components, Web Links, Calculators and much more. An area can be linked to a back-end database to track a user's participation, and may include the ability to test the user's knowledge of the topic with multiple choice questions upon completion. All costs include hosting, media and existing content. Custom content implementation or development may cost extra. A mobile version of this is also available. 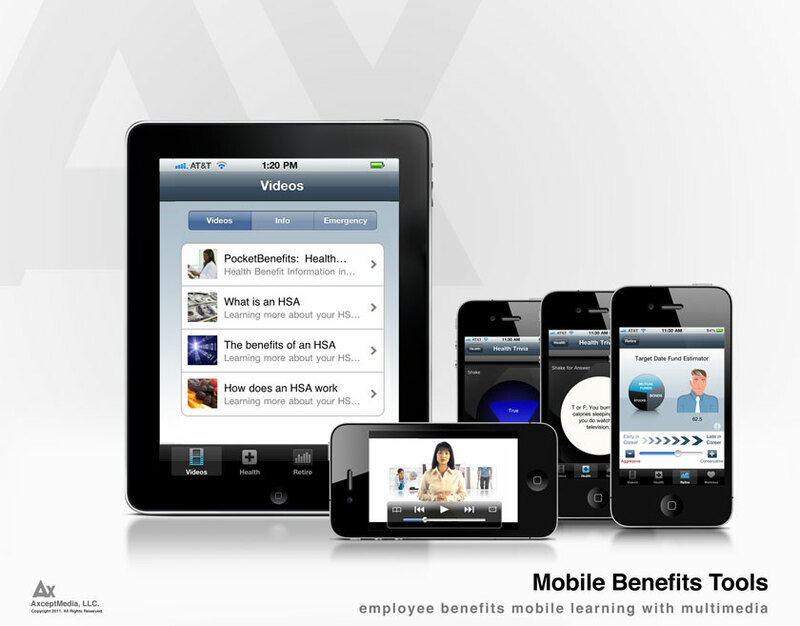 These are interactive mobile presentations designed for a specific audience---the employee. The Apps are shared by Employers to their Employees. They provide engagement and education on specific topics or accounts, encouraging employee adoption or utilization. This is a web based portal designed to Engage and Educate employees on the benefits and uses of Consumer Directed Health Care (CDHC). The Portal can easily be customized for an Employer Group, TPA, Bank or other Entity. Presentations include: Health Savings Accounts (HSA), Health Reimbursement Arrangements (HRA), and Flexible Spending Accounts (FSA). These presentations cover the What, How and Why of these offerings and include specific examples. The H.S.A. Example's Area can be configured to reflect: Deductible Amounts, Contribution Amounts (from Employee AND Employers), Co-Insurance Amounts and Maximum Out-of-Pocket Amounts. This product can support small based employers as well as larger Fortune 500 employers with tens of thousands of employees. Each specific portal comes with a back-end admin site, allowing for some real-time configurability. All costs including hosting, media and existing content included within the product. These interactive web portals provide a familiar experience to the end-user in the form of a book or magazine. 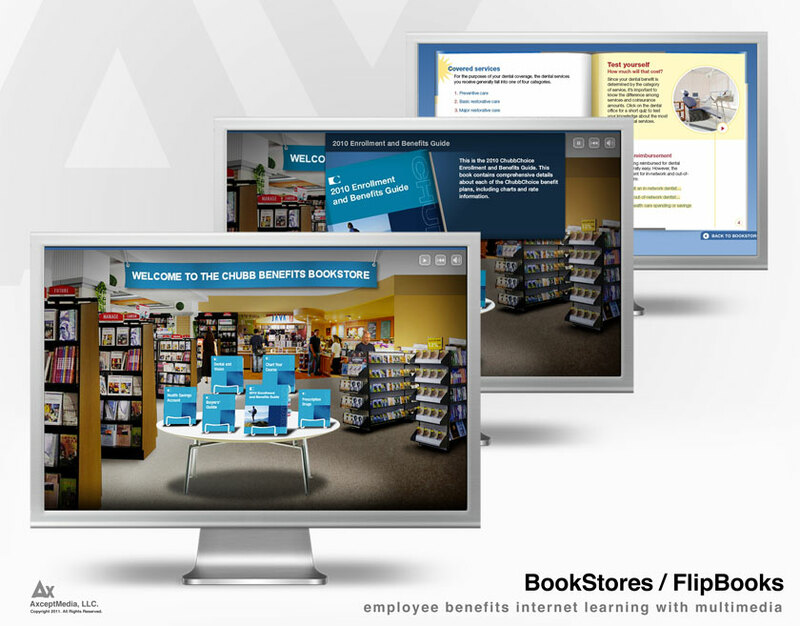 Each Flip Book or eMagazine is located on a specific web address and can cover one topic or multiple topics. Unlike traditional books or magazines, these can contain: Text, Graphics, Audio, Video, Interactive gaming, web links, calculators and more. These also come with a back-end admin site allowing for some custom real-time configurability. All costs including hosting, media and existing content included within the product. These on-line presentations can cover many topics. 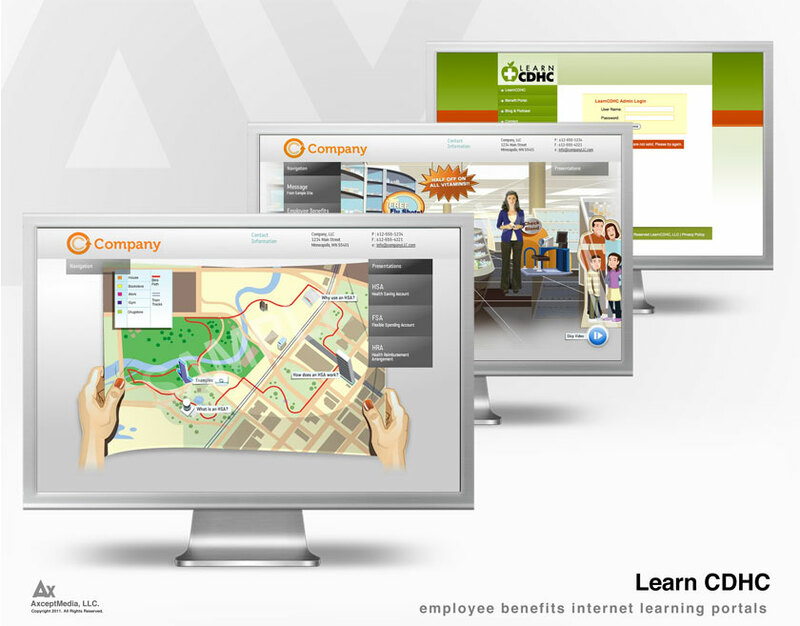 They are typically designed to educate employees in a very intuitive way. These can contain: Text, Graphics, Audio, Video, Interactive gaming, web links, calculators and much more. They can be linked to a back-end database to track a user's participation, including the ability to test the user with multiple choice questions upon completion. All costs including hosting, media and existing content included within the product. 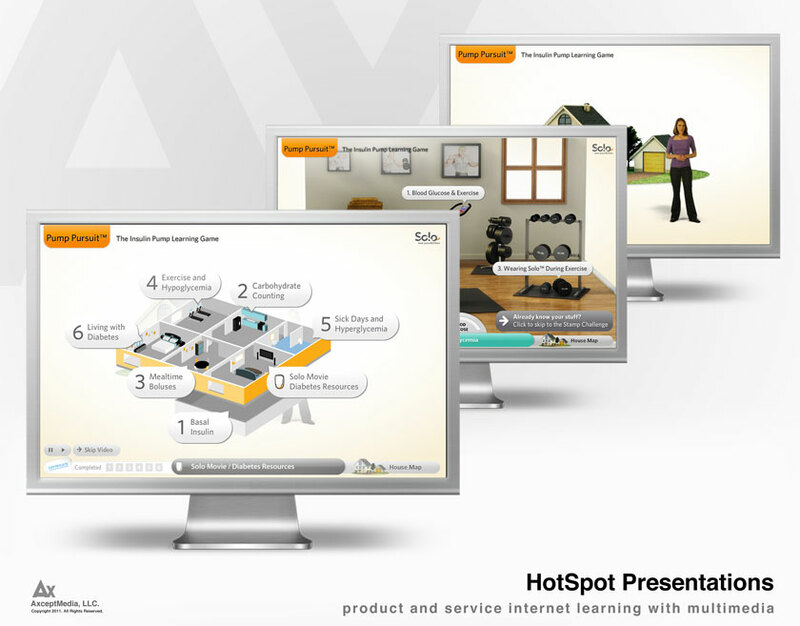 These presentations allow users to explore specific interactive on-line environments and learn about topics along the way. These can contain: Text, Graphics, Audio, Video, Interactive gaming, web links, calculators and much more. These presentations provide a gaming experience allowing the user to complete certain levels and reward the user accordingly. All costs including hosting, media and existing content included within the product. 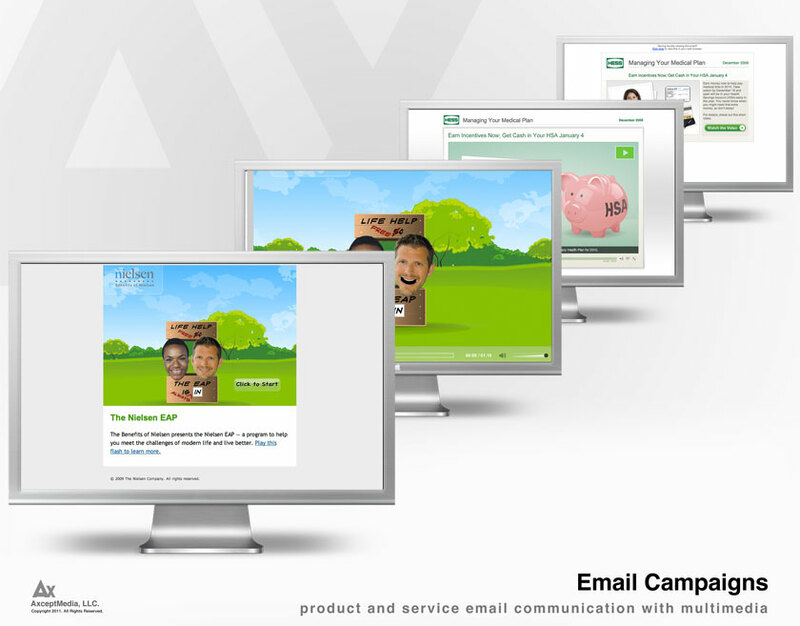 These are specifically designed emails which point to a video or a Flash based clip or trailer. These videos are relatively short, between 1 minute and 5 minutes. Their goal is to engage and motivate the user to action, such as enrollment or participation in a specific request, etc.